The HTC One M9 looks similar to its predecessor, the One M8. The Taiwanese company's earnings took a big dive in the second quarter, with a NT$8 billion (US$257 million) loss. This came as revenue dropped by almost half year over year to NT$33 billion. Its latest flagship product, the HTC One M9, has so far failed to buoy sales. The phone itself hasn't been a big enough upgrade from the last generation, according to some reviewers, and this may have prevented it from standing out in the market. In an earnings call, HTC's chief financial officer Chialin Chang blamed the poor earnings on diminishing demand for high-end smartphones, and sagging handset growth in the Chinese market. The company, however, is still focused on the premium market, and won't be going after sales of cheap products. To rebound, Chang said the company is cutting costs to try and "break even" in its smartphone business, but he declined to elaborate on details. In addition, the company will introduce another smartphone, sporting a more "fashionable trendy design", in the fourth quarter. Outside of smartphones, Chang pointed to HTC's virtual reality headset, the Vive, as an area of promise that could attract gamers. HTC is also developing new connected devices, including an upcoming fitness band through a partnership with sports apparel maker Under Armour. However, it won't see revenue from these projects until 2016, Chang cautioned. Once a major smartphone brand, HTC's business has been shrinking over the years because of intense competition from rival brands, such as Apple, Samsung and a whole host of Chinese vendors. 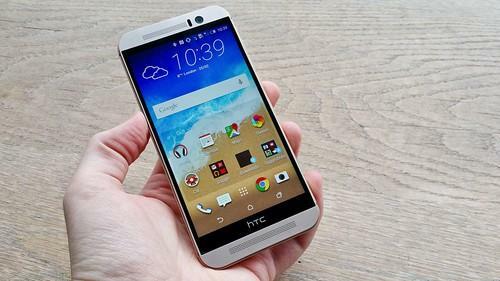 The company unveiled its HTC One series of phones in 2012, as a way to generate buzz for its new flagship products. But despite largely positive reviews from critics, the One phones continue to be overshadowed by rival products. "It's been very difficult for the HTC One smartphone to do well, especially when the market has so many vendors that can provide quality devices," said Nicole Peng, an analyst with research firm Canalys. HTC's ongoing development of a virtual reality headset, and other consumer electronics may pay off in the future, she added. But it could also mean diverting resources away from its main business of selling phones. "Spending money on a future product may only be able to get some return in five years," she said. "Whether they are betting on the right area involves high risks."